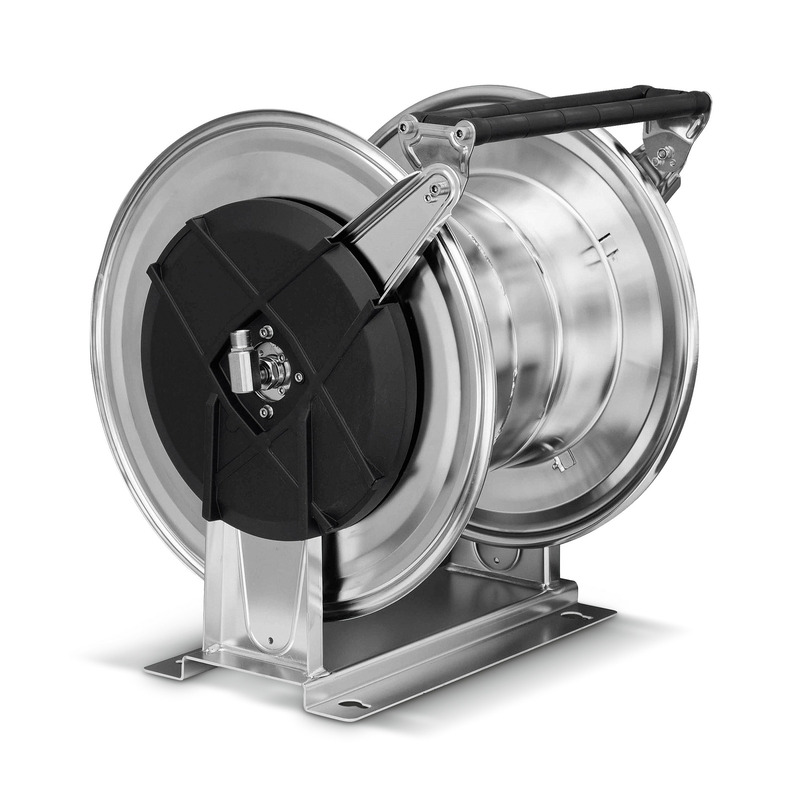 Automatic stainless steel hose reel 63924420 https://www.kaercher.com/ae/accessory/automatic-stainless-steel-hose-reel-63924420.html Automatic hose reels provide the highest level of safety and convenience for winding and unwinding HP hoses. Compatible high-pressure hose, e.g. order no. 6.110-076.0 (ID 8, 40 m, 400 bar, 1x hose reel connection attachment kit). Automatic hose reels provide the highest level of safety and convenience for winding and unwinding HP hoses. Compatible high-pressure hose, e.g. order no. 6.110-076.0 (ID 8, 40 m, 400 bar, 1x hose reel connection attachment kit).